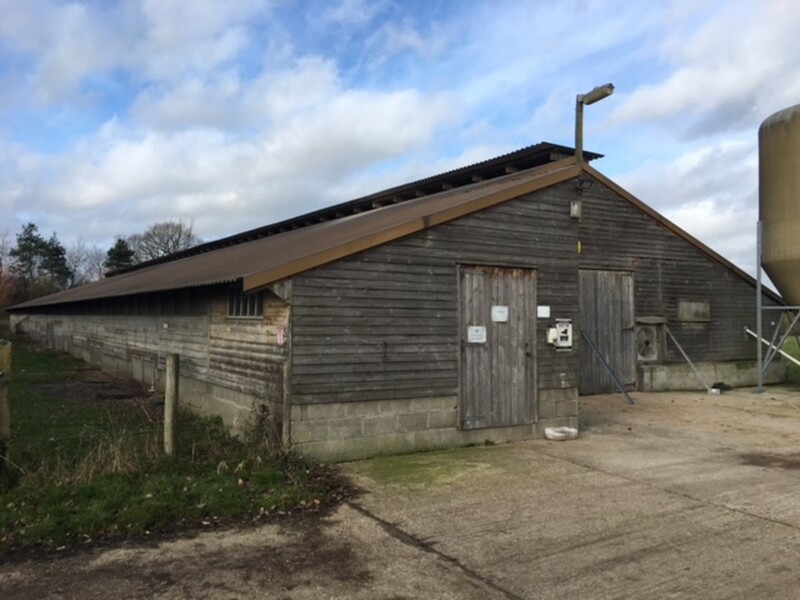 Building to let for a range of commercial uses subject to conversion and planning consent. TO LET: Rent Negotiable	(subject to use and level of conversion/adaptation works required). Introduction This introduction and particulars are intended to give a fair and substantially correct overall description for the guidance of the intending lessee/s and do not constitute part of a contract. No responsibility is assumed for the accuracy of individual items. Situation/Location The building is located on the edge of the village and the access is via a minor road so may not be suitable for large scale traffic. Tivetshall St Margaret is within easy range of Diss, which has a full range of services and is also not far from Norwich. Both Norwich and Diss have good employment opportunities and are on the mainline train links to London Liverpool Street. Tivetshall St Margaret is on a regular bus service route between Diss and Norwich, which also stops in Long Stratton. Description The building was built in 1987 and has a floor area of 821m². 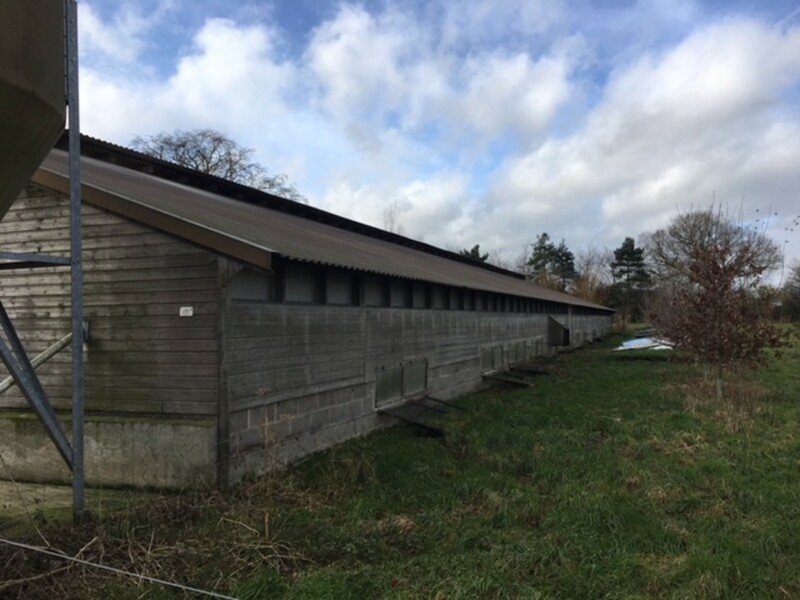 It was built specifically to house poultry. It is of timber frame clad with timber above a block plinth with pitched sheeted roof. The building would require conversion or adaptation depending on the nature of any proposed use. Services (not tested) The property is served with mains electric and water. 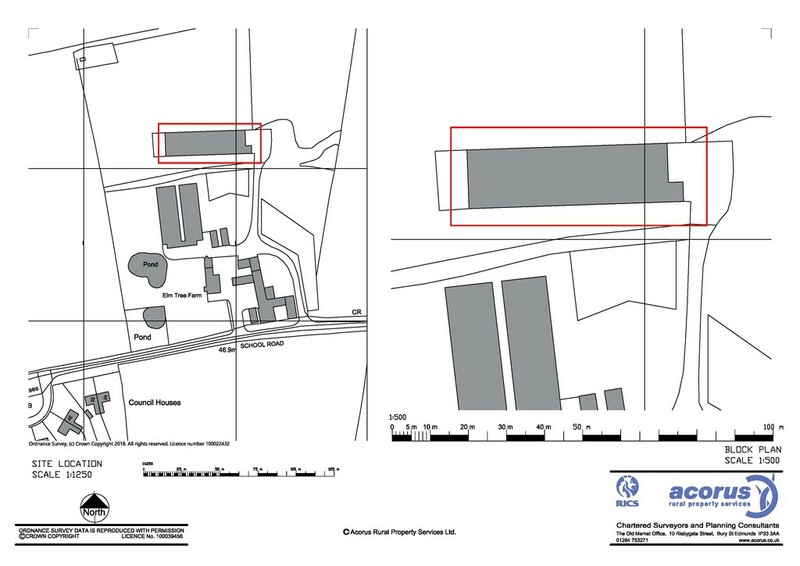 Planning The building is currently being used for agricultural purposes, housing of poultry, and therefore any material change of use would require planning consent. Timing The building is still in use but is envisaged to be available within the next 12 months when the current contract ends. 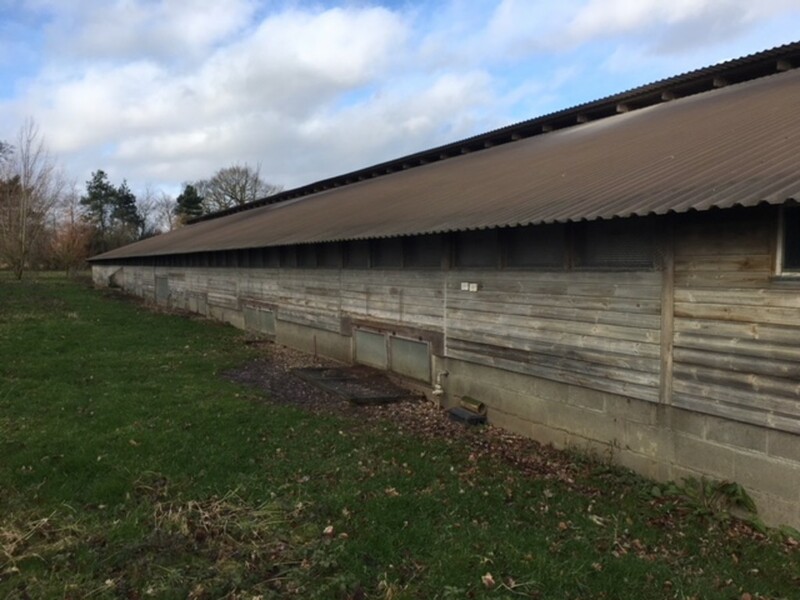 Note Any agreed let will be subject to a restrictive covenant preventing the use of the building for livestock production due to restrictions on other property. Viewing Strictly by appointment through the selling agent, Acorus. IMPORTANT NOTICE Acorus Rural Property Services Ltd for themselves and for the Landlord of this property whose agents they are, give notice that:- 1. The particulars are set out in general outline only for the guidance of intending purchasers and do not constitute part of an offer of contract. 2. All descriptions, dimensions, references to condition and necessary permission for use and occupation and other details are given in good faith and are believed to be correct, but any intending purchasers should not rely on them as statements or representation of fact and must satisfy themselves by inspection or otherwise as to the correctness of each of them. 3. No person in employment of Acorus Rural Property Services Ltd has any authority to make or give any representation or warranty whatever in relation to this property or these particulars, nor enter into any contract relating to the property on behalf of Acorus Rural Property Services Ltd, nor to any contract on behalf of the vendors. 4. No responsibility can be accepted for any expenses incurred by an intending tenant in inspecting any property which has been let or withdrawn. 5. The property is sold subject to and with the benefit of rights including rights of way, whether public or private, light, support, drainage, water and electricity supplies and any other rights and obligations, easements, quasi easements, covenants and restrictive covenants whether referred to in these particulars or not. PROPERTY MISDESCRIPTIONS ACT 1. All measurements are approximate. 2. While we endeavour to make our sale particulars accurate and reliable, if there is any point which is of particular importance to you please contact Acorus Rural Property Services Ltd who will be pleased to check the information for you, particularly if contemplating travelling some distance to view the property. 3. Acorus Rural Property Services Ltd has not undertaken any tests of the services or appliances present at the property beyond statutory obligations and prospective tenants should carry out their own investigations in this regard. 4. All plans and photographs within these particulars are provided for a general guide and identification purposes only. Any items of plant, machinery fixtures and fittings shown may not necessarily be included in the sale. MONEY LAUNDERING. Please note in line with the Money Laundering, Terrorist Financing and Transfer of Funds (Information on the Payer) Regulations 2017, Acorus Rural Property Services Ltd are required to carry out Customer Due Diligence checks on parties to a property transaction, including proof of identity and identifying sources of funds.